Q: The veterinarian I just saw refuses to declaw my cats. She says it’s considered unethical, but I’ve had cats forever and never got this memo. I think it’s unconscionable to leave cats outdoors, and that’s what would happen if I didn’t declaw my cats. (My hands and my furniture require it!) Is this a real rule among veterinarians or is my vet being dramatic? A: Here’s the memo: The procedure we commonly refer to as a “declaw” is one an increasing number of veterinarians refuse to perform. Many of us consider it unethical and immoral to amputate the first knuckle of a cat’s digits just because it makes our lives easier and keeps our furniture healthy. I mean, if destruction and injury were the concern, why would we stop at the claws? Why not take out all their teeth, too? Clearly, neither de-teething or declawing cats offers a realistic solution to the problem of cats being cats. From time to time they will still behave in ways that are inconvenient to us. But that doesn’t mean we have to suffer unduly. 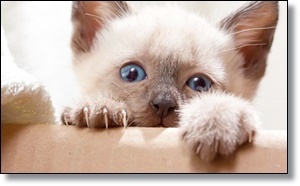 1: Cats who have their claws removed are still capable of inflicting damage to humans and their property. Further, veterinary behaviorists recognize that declawed cats may use their teeth more often during aggressive encounters (with cats and humans). And teeth typically inflict more damage than claws do.